Hello everyone! 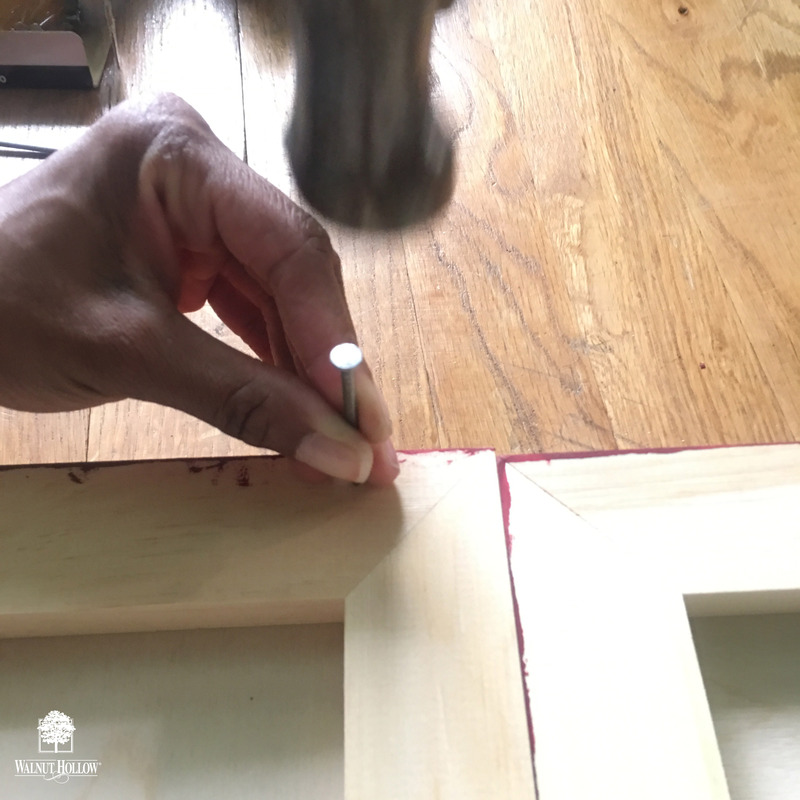 Kymona here today to share with you how to create a rustic letter holder for all of that mail sitting on your kitchen counter or in a junk drawer. 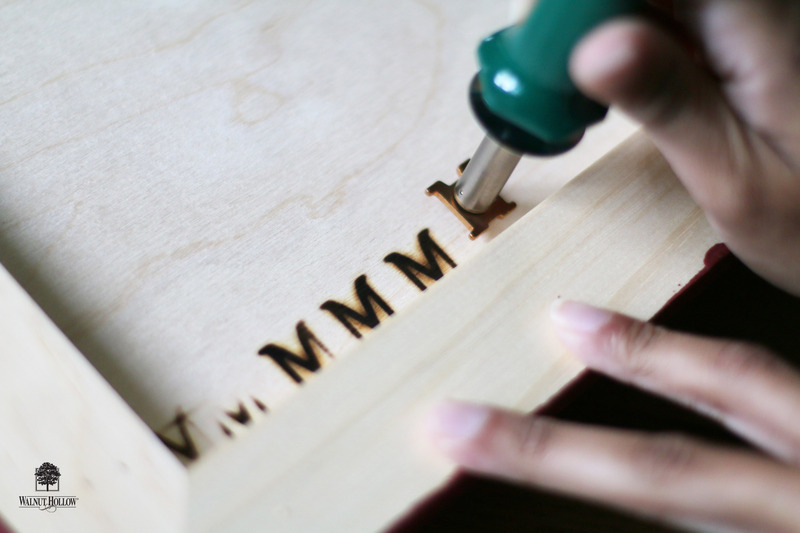 Walnut Hollow sells amazing wood pieces that are easy to work with. Their products are made in the USA with a focus on the environment. 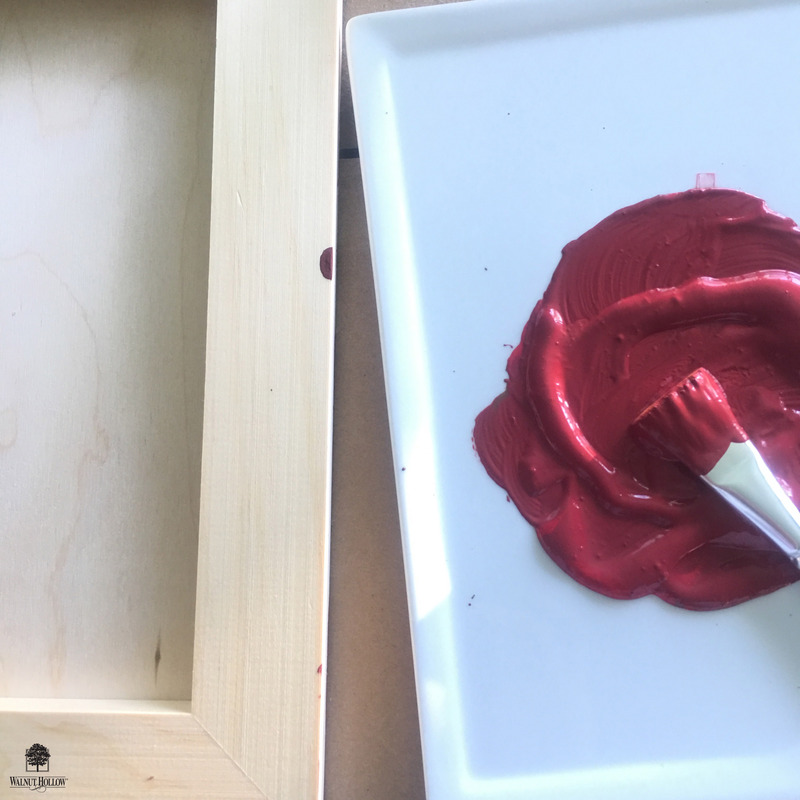 Walnut Hollow products are easy to customize with paint, wood burning, stain, mixed media techniques and more to create unique home decor, craft, and art pieces. 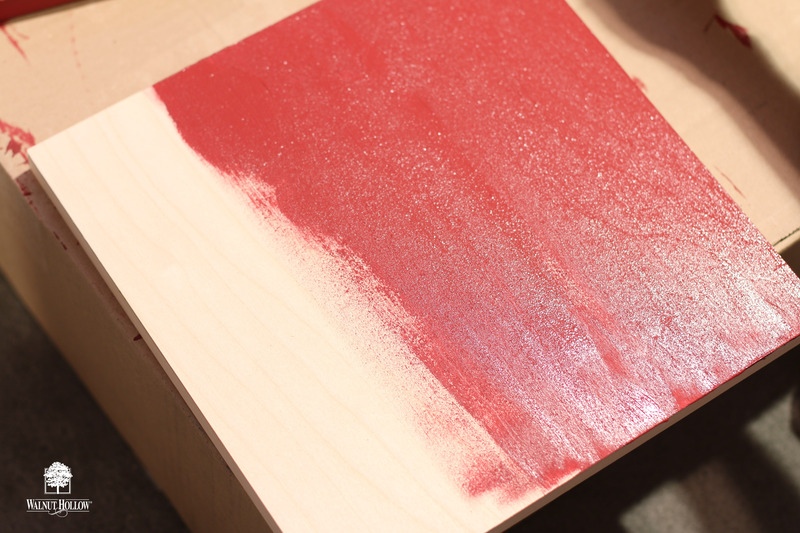 Mix the two colors of paint to create the rustic red color desired. Start painting the shutter and the basswood so that they can dry. You will need to paint two panel pieces for the back of the shutter. 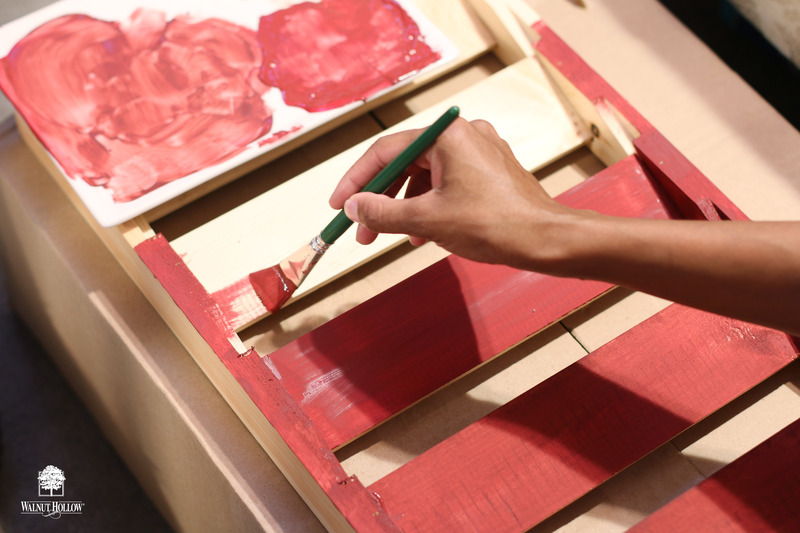 Once the paint dries, it’s time to nail the pieces together. 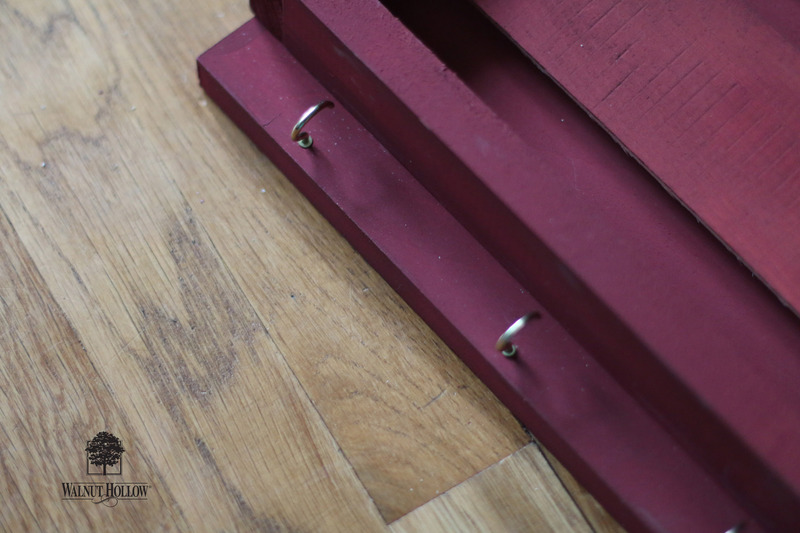 Use four nails to anchor each panel to the back of the shutter. 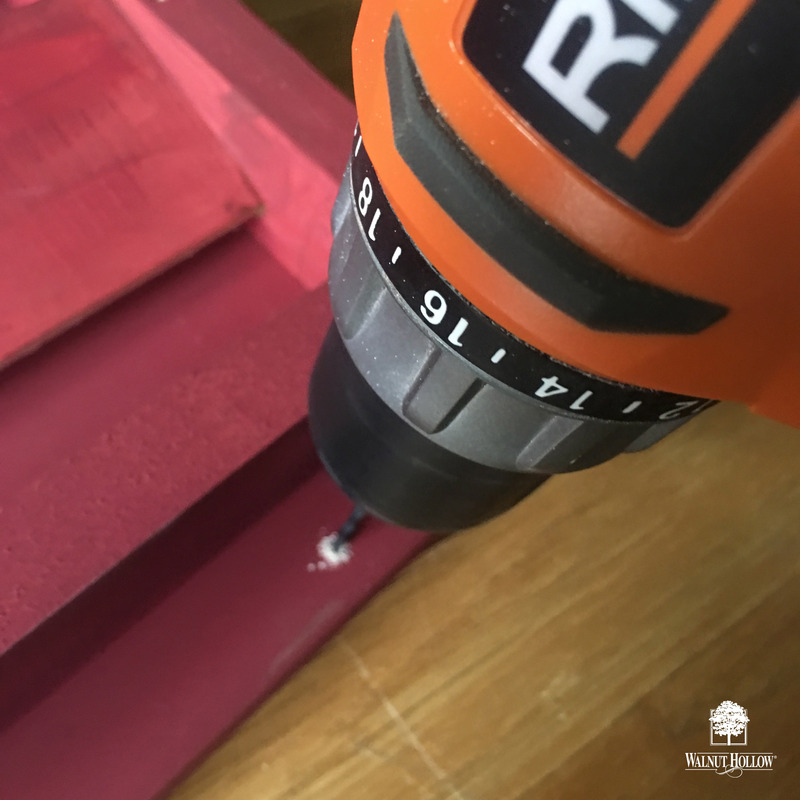 Use the drill and 1″ drill bit to drill three holes at the bottom of the shutter. Screw the hook screws into each of the three holes. 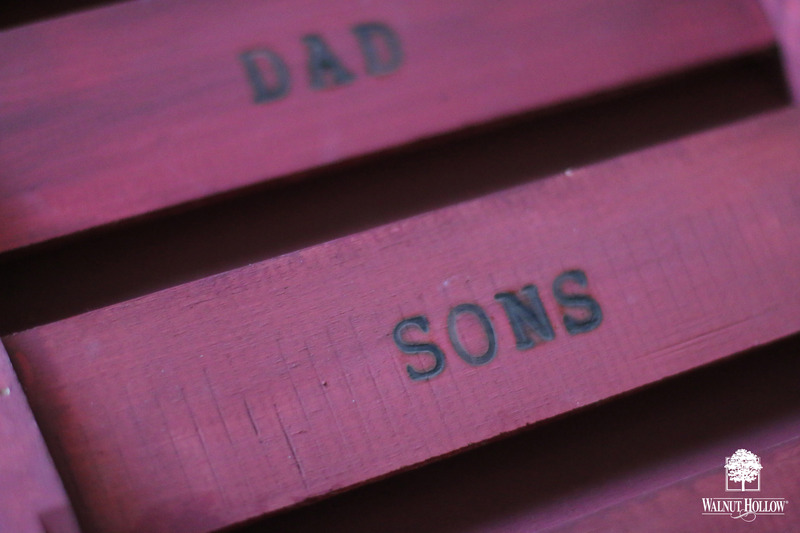 Now its time to wood burn the names onto each flap of the shutter. 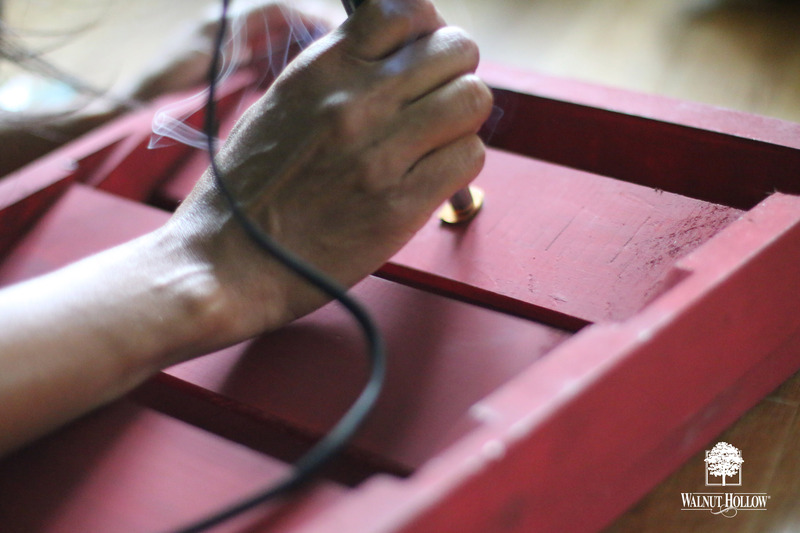 I tested the tool on the backside of the shutter to make sure I was getting a good impression. I added Mail Out, Dad, Mom, Sons, and Daughters to the flaps. What do you think? 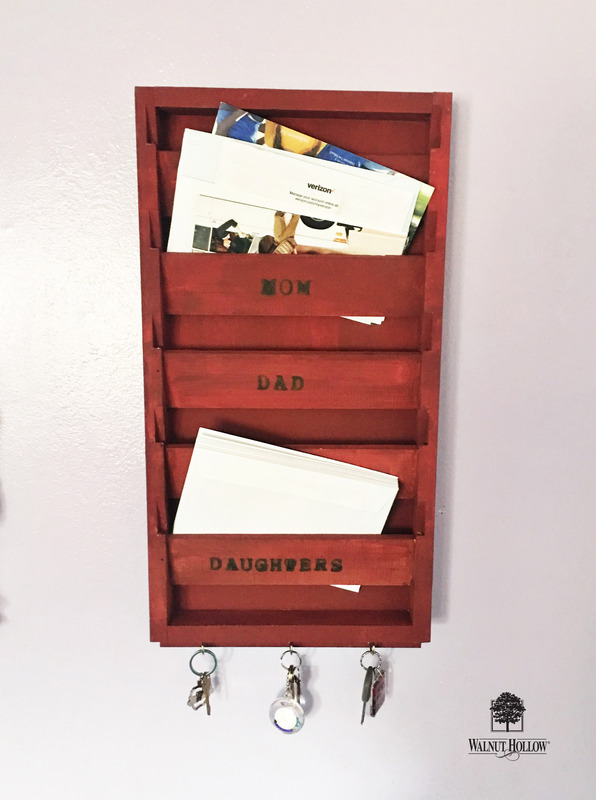 Would you create a mail holder for a family member this year? I would love to hear from you, let me know what you think below. Thanks for stopping by and don’t forget to check out the Walnut Hollow Instagram for tons more inspiration and project ideas! You can also stop by Walnut Hollow blog to find out more about them. Kymona Tracey specializes in paper crafting, knitting, and is slowing learning brush lettering which you will find on her blog Kreative Kymona. 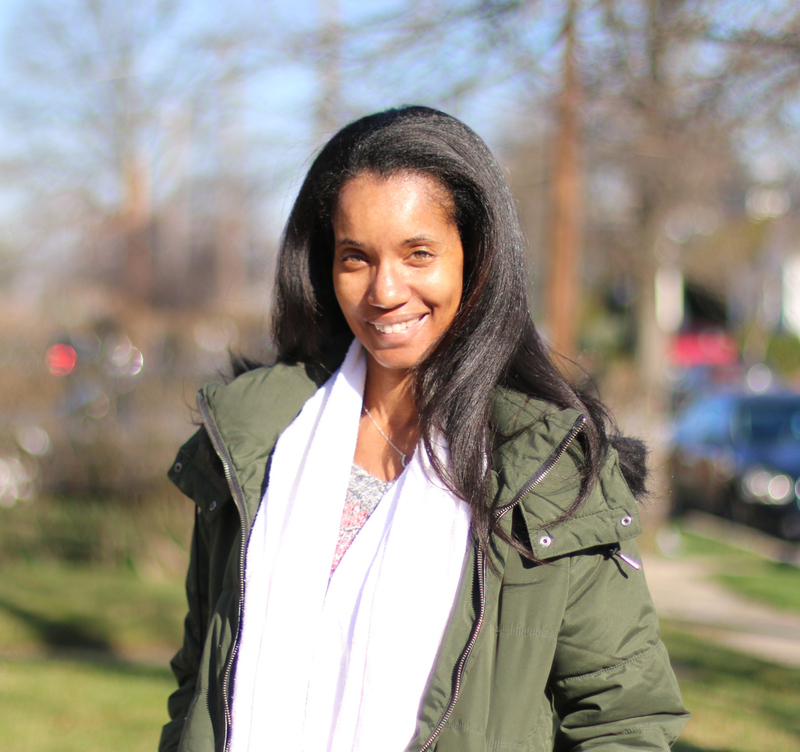 Kymona’t style is clean and simple and she creates at midnight when her best ideas shows up! !